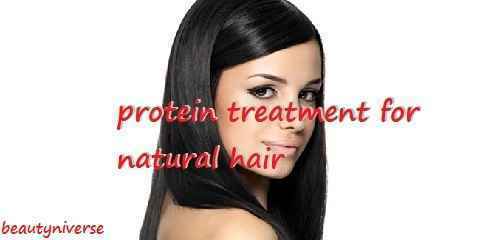 Protein treatment for natural hair will help your hair to stay shiny, smooth, lustrous, and strong. In everyday life, your hair has been exposed to sun, pollution, and styling chemical that can make your hair loss its gloss and volume, leaving it dull and unstylish. Even though we already have protein inside of our body and our hair is mostly made of protein, healthy routine is needed to prevent every strand of our hair getting damaged from reckless habits and products. 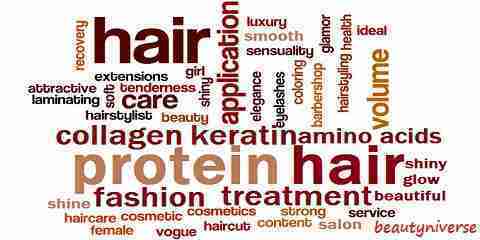 Protein helps in strengthening and growing our hair. This protein treatment is common and can be found in any salon since it contains nourishment that is good for hair. The keratin will strengthen the root of the hair therefore every strand of hair is stronger and also silky. Girl who has natural hair knows how vital it is to nourish their hair to keep on having beautiful locks. When the hair is damaged, the hair will dry, tangled easily, and unruly. The beauty of natural hair won’t be able to be seen again. That is why protein treatment is very important. Protein based conditioner is a hair conditioner that is used to strengthen and reconstruct the damaged hair by moisturizing and replenish the loss protein temporally. Protein conditioner contains collagen, keratin, cholesterol, amino acids, and sealing ingredient (mineral oil, petrolatum, lanolin, and many more) that is good to nourishing your hair. Choosing the right conditioner for your hair is important. Keratin based conditioner helps you to strengthen your hair and replenish the loss protein in your hair. If you only use shampoo, your hair will quickly dry and lose some protein on a regular use of your shampoo. The natural hair will lose its texture as well, leading to frizzy look. Brushing and styling too often will also damage the hair. By using protein conditioner, it will help smoothing the brush and protect the hair from getting hair breakage. As I have stated above, the first benefit that you can get is that it helps strengthening and softening your hair. Someone with brittle weak hair can use protein conditioner to strengthen the hair follicle. 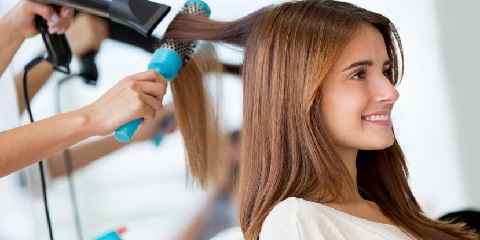 If you often style your hair using heat or have damage hair, such as split ends, using protein treatment can add moisture on your hair that will prevent further damage. Other benefit that you can get is that your hair will be fuller and healthier by using the right protein treatment. If there are some ‘plus’, there will also be some ‘minus’ that come along. If you overuse the protein treatment, your hair can be stiff and hard instead of smooth and bouncy. The cholesterol inside of protein treatment is indeed great for dry hair, but when you have medium dry hair and use this treatment, your hair will feel oily and make your hair looks greasy. If you use protein treatment, use it no more than once a week. It is also best to follow the instruction that come with the package to get the best result from the protein treatment for hair.